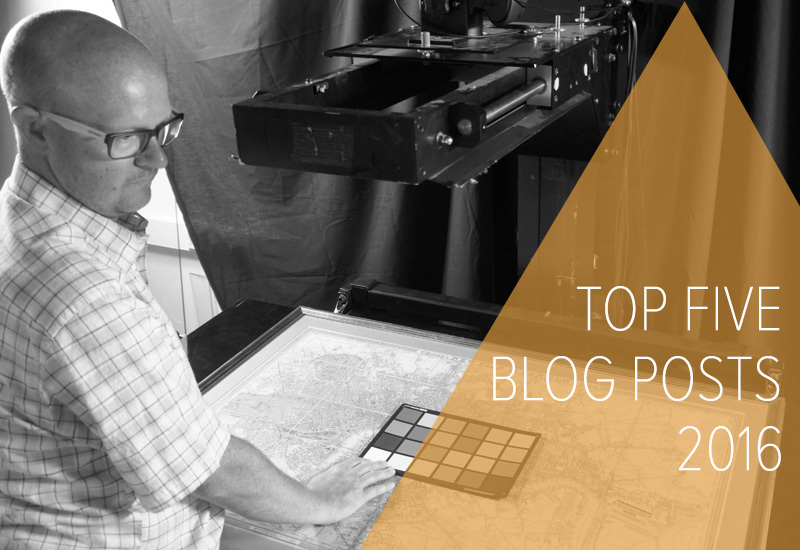 We published 26 fresh blog posts during 2016 exploring all things archives, heritage and digitisation. The diverse topics covered included everything from advice on putting together HLF funding applications, to using Instagram to promote your collections and how to digitise oversize archive items. Not to mention guest posts from archivists, librarians, curators and heritage consultants sharing their unique insights and experience. Of course I realise you’re busy, you don’t have time to sit around reading blog posts all day. Okay so if you’re eagle-eyed you will notice that this post was actually published just before 2016 began. But so many of you read it and shared it on Twitter, LinkedIn and other social media that it had to be in the top five. Our guide is the most up to date database of UK digitisation funders in existence; including eligibility criteria, typical amounts awarded, and details of how to apply for 17+ different funding streams (including our own TWA Grant). Thoroughly preparing your heritage items prior to digitising them makes the scanning process more efficient, saving time and cost (even if you are outsourcing the work). In addition, and more importantly, it also helps ensure the safety of the items during the digitisation process. This guide offers advice for each common archival format – including bound volumes, photographs, transparencies and more. Alison Cullingford, special collections librarian at University of Bradford Archives, wrote this piece offering an introduction to orphan works and the copyright risk issues surrounding them. Alison then explains the pragmatic, risk managed approach her institution has adopted – which has opened up access to orphan content for outreach purposes, whilst maintaining a low level of copyright risk. We recently worked in partnership with the National Holocaust Centre & Museum to open up access to its collection – which includes WW2 Nazi propaganda, artworks and survivor photographs – by digitising them and publishing them online. This case study shares the story of the project, the Museum’s goals and explores some of the 2000+ items that were scanned. Archivists and heritage managers from John Lewis, Diageo, British Pathe and Zandra Rhodes share the innovative and exciting ways they have used digitised heritage materials as part of outreach activities and more. I hope you found our blogs interesting, informative and helpful during 2016. We have a lot more planned for this year to help share knowledge and best practice around heritage digitisation, outreach, digital preservation, and more. You’re welcome to email us with blog topic suggestions or guest post proposals. If you would like to know when we add new posts you can follow us on Twitter or sign up for our email notifications below. I would like to subscribe to the TWA blog to receive, via email, the latest news and posts on digitisation, archives and opening up access to digital cultural heritage.